The European Union and Cuba have agreed to speed up negotiations to normalise relations between Brussels and Havana, with the aim of reaching a framework agreement by the end of the year. The EU’s foreign policy chief Federica Mogherini met President Raul Castro and other ministers and senior officials in Havana. It’s the highest level diplomatic visit to the island from Europe to date, as Cuba’s relations with the West continue to thaw. 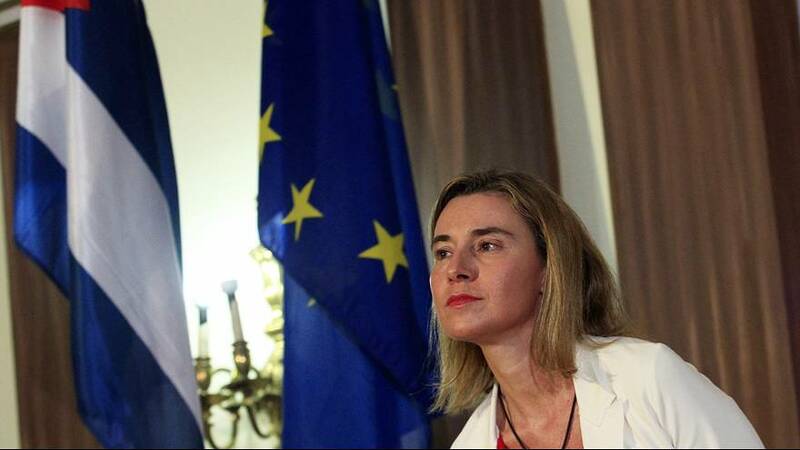 “We need to intensify (our dialogue), this doesn’t mean we are unsatisfied with the past, just an issue of using the political momentum of our meetings, of my visit here and of the good meetings we had today to make sure that we translate this into an agreement,” Mogherini told a news conference in Havana. Also passing through Havana was Russia’s foreign minister, keen to show that Cuba’s reconciliation with the US does not affect Moscow’s relations with the ex-Soviet Union’s former Cold War ally. Cuba welcomed Sergei Lavrov’s “support” in opposing the American trade embargo. Although the EU lifted diplomatic sanctions against Cuba in 2008, progress towards normalising relations has been slow since negotiations began last year to revise ties. Recently, scheduled talks have been postponed twice in the wake of Havana’s sudden engagement with Washington. Despite progress on human rights in Cuba, the issue has continued to cause what were described as “differences of interpretation” during the last round of talks in early March. Mogherini also announced the signing of a new deal to provide 50 million euros of European aid for “key sectors” of Cuba’s economy such as agriculture, until 2020. Cuba’s Foreign Minister Bruno Rodriguez is due to visit Brussels on April 22.